Travelling and learning new things along the way is what I love but due to budget constraint, lack of knowledge about the place that I want to go to and people to accompany my trip, because all of my friends are busy, I find travelling to new places hard to do. Last August 10, 2016, I was invited to attend Flip Trip's 6th Travel Meet up at Boteco and BBZ Bar and Restaurant for the launching of Tripkada. Flip Trip organizes travel meet up to let travelers meet and greet, share each other's experience and learning, bond and just have a good time together. 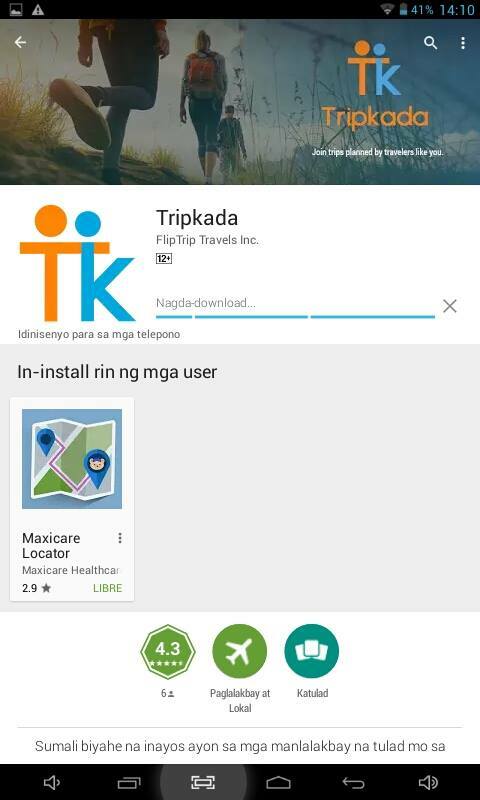 I was so glad that I attended the event because my main concerns in travelling was answered by the Mobile Application that they launched that they- TRIPKADA. 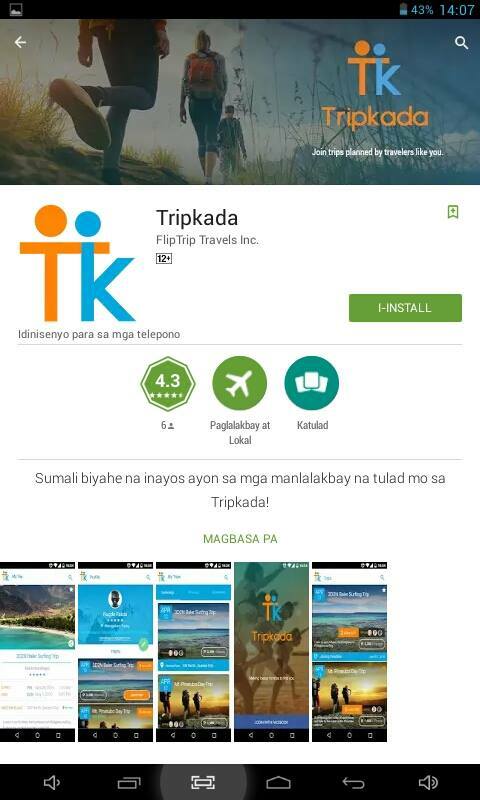 Tipkada is powered by FlipTrip.PH and is a mobile application where travelers can go to destinations organized by fellow travelers. How did TRIPKADA answered my worries in travelling? This are the reasons why. TRIP-POOLING- Trips that are available on Tripkada Application was organized by Tripkada community of travelers. I do not need to do a lot of research about the destination and worry if what I got online or through a travel agency are the best places on my preferred destination. It is better to be with people who had gone or wondered to your choice of destination because you can learn a lot from them and you can discover new thing together since both of you have the same wave and taste for adventure. AFFORDABLE TRIPS- Since trips available on Tripkada were organized by travelers, they have an idea on where and when to get deals that will make the trip affordable. At the same time trip cost will be divided among the travelers who avail the trip. The more travelers to join the more affordable the trip will be. DESTINATION PREVIEW- We can now access information regarding one travel destination to another but sometimes the information we got online and expected is not the REALITY. With Tripkada, travelers can have a sneak peek of each upcoming trip conducted by people who went to the destination so that travelers can check if the place and activity would suit their need and wants. KNOW YOUR TRAVEL BUDDIES- Now traveling alone or joining other fellow travelers will be hassle free because you will know first hand the people that you will spend the adventure with by checking their profile on Tripkada. REVIEWS- Knowing one's experience on a certain trip is powerful specially if you want to know if the destination you are eyeing is safe. Trip leaders of Tripkada are the ones responsible in creating a virtual tour by writing their experience on the trip they organize so that readers can check if the trip are safe for them or not. EASY TRANSACTION- After choosing your preferred destination, travelers can settle their trip by paying online through credit or debit card or through cash deposit on Tripkada's trusted bank allies. 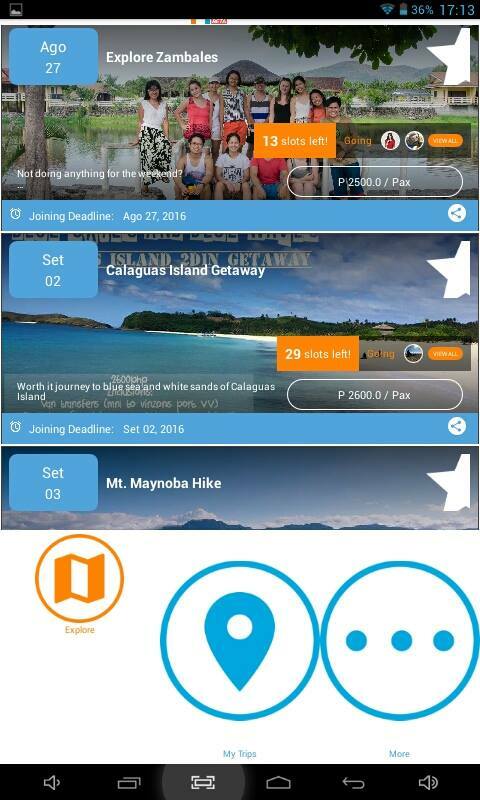 DISCOUNTS- Every referral you make will let you earn credits that you can use to avail trip discounts. 1. 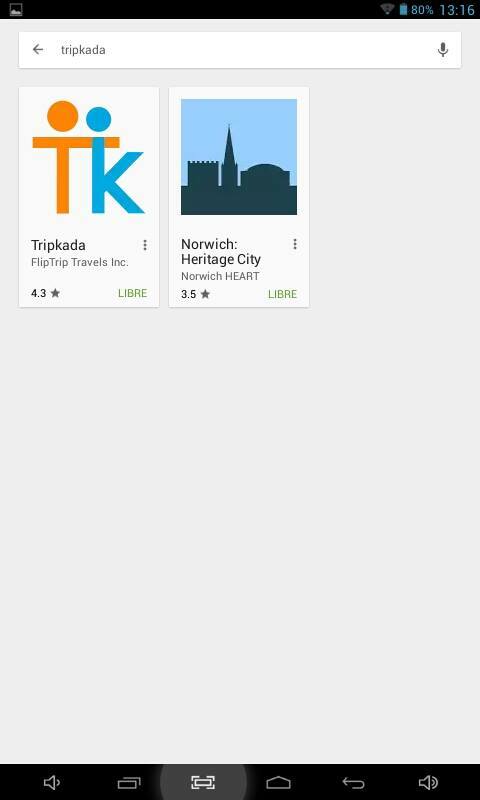 Go to Google Play Store and type TRIPKADA. Choose TRIPKADA and make sure that you get the right one by checking the LOGO. Make sure to choose TRIPKADA by clicking the right logo. Click install to download the application. 4. Congratulations! You can now enjoy traveling with TRIPKADA! 5. But wait! To open the application link it first to your Facebook Account. 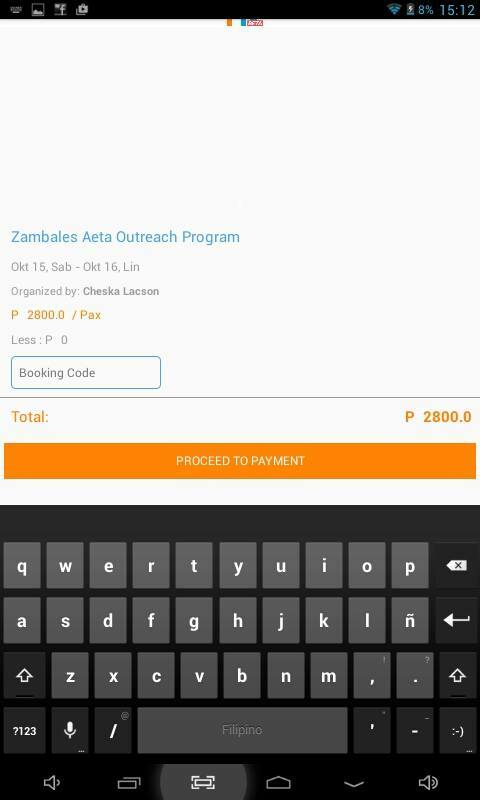 Don't forget to link the application on your Facebook account. 1. I clicked the explore button to check the variety of trips organized by our fellow travelers. 2. October is my birth month and the best way to celebrate it is by traveling and giving. 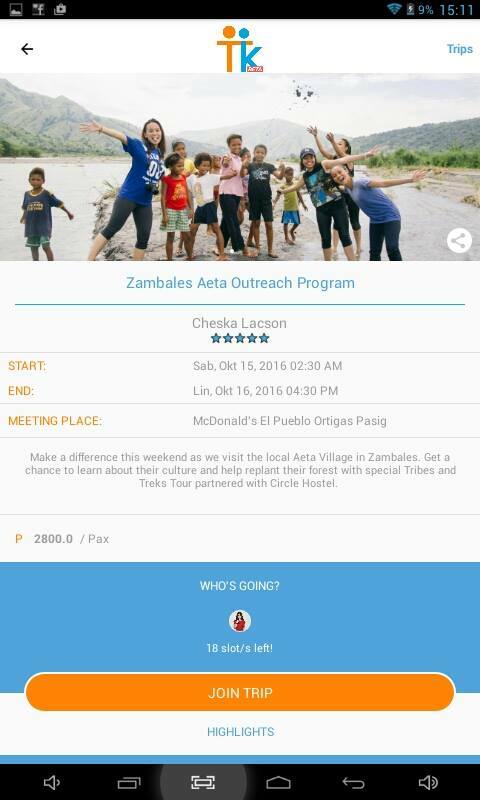 With that in mind I choose Zambales Aeta Outreach Program. Upon clicking the said trip I saw the call time, meeting place and estimated time that the trip will finish, the amount to be paid, highlights, the travelers that will join the trip and the slots available. Aside from those I also saw the Itinerary and oh! I am too excited to learn that aside from trekking, I will learn about Mt. 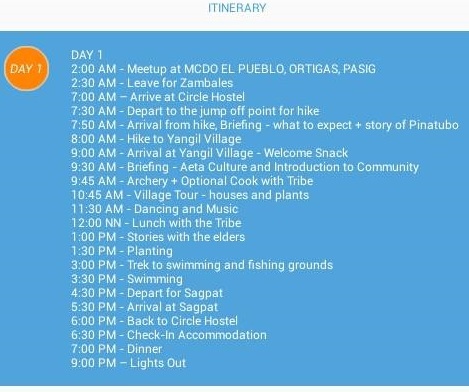 Pinatubo, Archery and cooking with the tribe, planting my own tree and fishing! 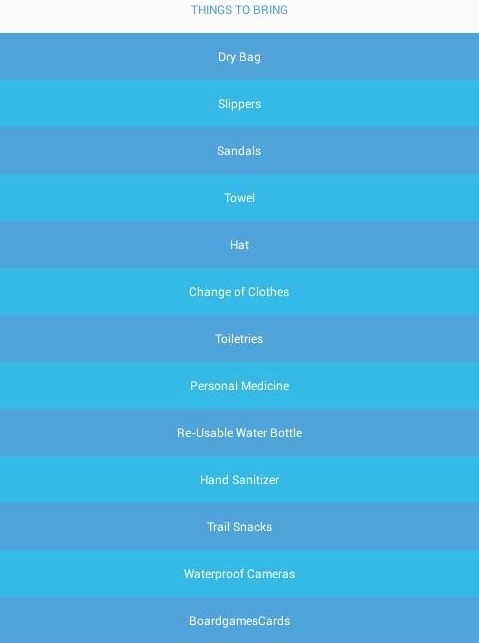 Whenever I travel I bring a lot of stuffs with me and later on find myself not using those, this time I will not do the same mistake because the things that I should bring is also listed in it. I also saw who organize the trip and for this one it is Ms. Cheska Lacson. Organizer of Zambales Outreach Program. 3. Now that I am familiar with the necessary things I need for my trip, the last thing I need to do is to settle it. 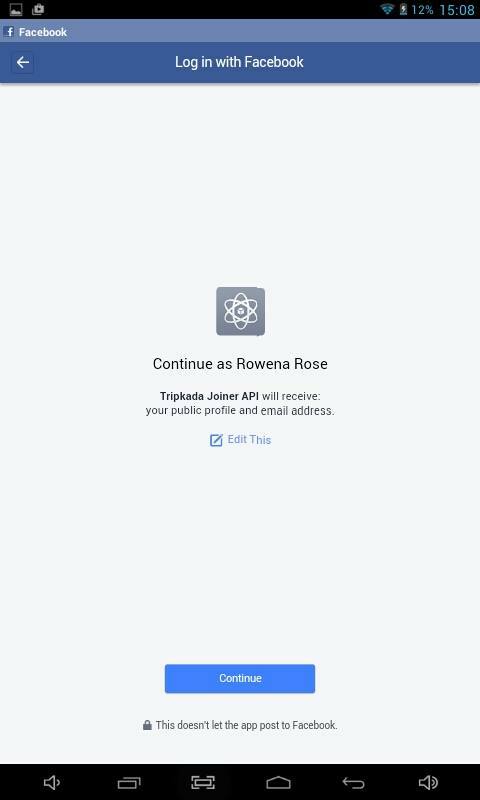 To do so, what I did was click the JOIN TRIP button and the summary of the things that I need to settle popped up. Summary of the cost I need to settle for my trip. After checking I clicked PROCEED TO PAYMENT and was asked what type of payment should I use. I choose the old fashioned way of depositing cash on the bank and was routed to the banks where I can transfer the money. 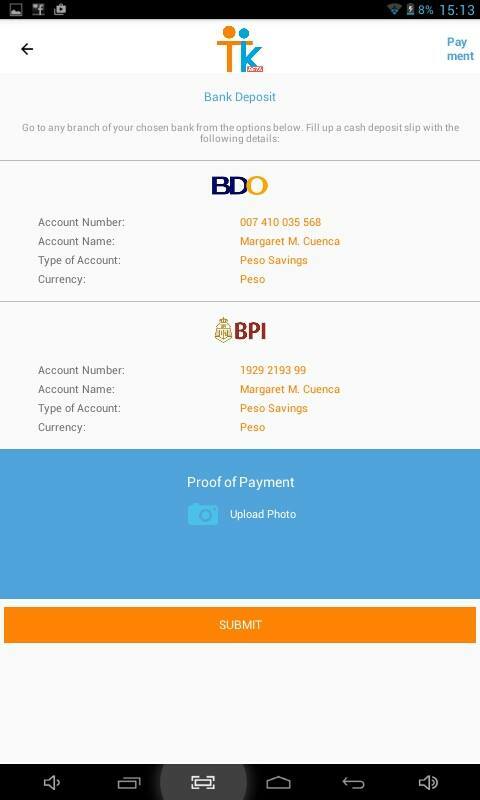 Once I settle my payment, all I have to do is upload my proof of payment and wait for my trip on October 15. 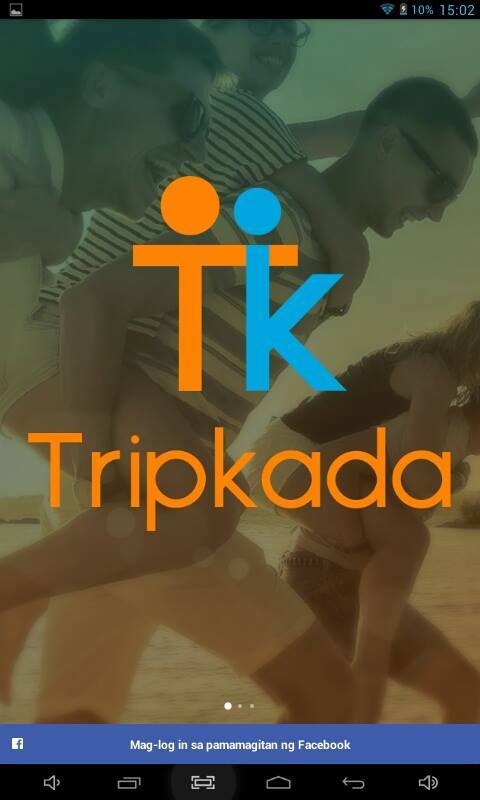 Tripkada App surely make travel easy and hassle free with the user friendly application, trips organized by travel leaders who are familiar with the destination and the affordability of each trip. I am looking forward to use this once again and meet fellow travelers and learn from them. Hope to see you on TRIPKADA Trip-pooling adventure! First time hearing TRIPKADA. Will try the app soon in my next travel. wow !! First time heard about this app ! Will check out for this !! It seem a useful apps. But this apps applicable for Malaysian? If yes, maybe will consider to install it. Looks like a very handy app. Will download it in my next trip! Tripkada sounds like a really good app to use. I wonder if they have plans to come to Malaysia. Available worldwide?? Gonna try this out for my upcoming trip to Japan! First time heard about this apps =) Thanks for the write up will check on Tripkada soon! haven't heard about this apps before but will install it and have a try soon...thx for sharing . now this is new to me. shall check it out as soon as possible. gosh! so many travel apps to check out! This seems like a great one! Wow! This is a great app. This app would be great to go on a holiday and meet new people! That's a great way to save when we travel. Will check out the app soon. What a cool app. Maybe i'll use this on my next trip!